GOLIAH'S Defeat. In the Manner of Lucan. 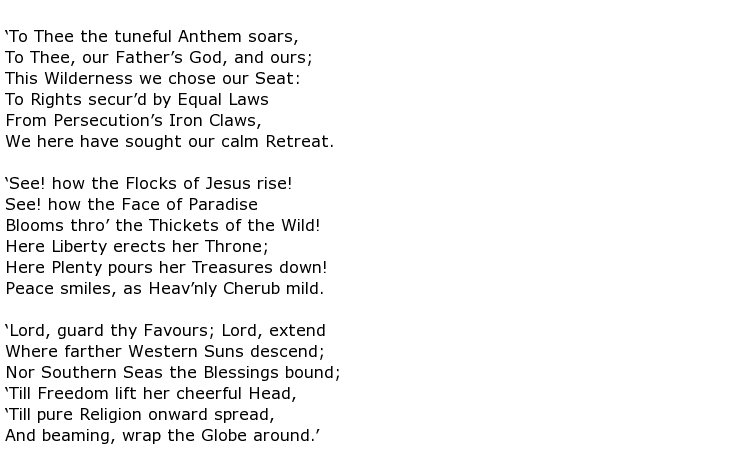 HYMN to CHRIST for our Regeneration and Resurrection. On a very profane Compliment in a noble and devout Poem. The Bloom of Life, fading in a happy Death. The Comparison, the Choice, and the Enjoyment. The Complaint and the Consolation. To a Friend, on the Death of a Relative. To an ingenious young Gentleman, on his dedicating a Poem to the Author. To the Memory of a young Commander slain in a Battle with the Indians, 1724. Written in Milton's PARADISE LOST. Mather Byles was an 18th century American poet and Puritan minister who lost his church status following the American Revolution because he supported the Loyalists rather than the victorious Patriots side. His parishioners objected to his political leanings and saw to it that he lost his ministry. 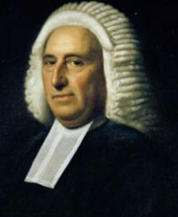 He was born on the 26th March 1706 in Boston, Massachusetts, the grandson and nephew of two other Puritan clergymen, Increase Mather and Cotton Mather respectively. Both of these men achieved a certain notoriety for their involvement in, and support of, the Salem witch trials. The young man was well educated, achieving an A.M. degree from Harvard University in 1725, and embarking immediately on his career with the Congregational Church as a pastor at Hollis Street Church in Boston. He soon became a popular and learned minister, much in demand at important events due to his skill at writing sermons and his oratory skills in delivering them. He corresponded regularly with fellow churchman and poet Joseph Green, along with other literary men such as Alexander Pope. His first collection of poems was published in 1744 under the title Poems on Various Occasions. North America was, at this time, a collection of colonies under British rule but the seeds of revolution were being sown rapidly. Byles though remained staunchly loyal to the King and suffered the loss of his parish in Boston when the British evacuated the city. With victory having been achieved by the Patriots he found himself under arrest in 1777 and threatened with deportation though all that actually happened was that he was placed under house arrest for a while. Mather Byles died in Boston on the 5th July 1788 at the age of 82. His reputation as a poet and preacher remained reasonably intact despite his opposition to the Whig-dominated new government of the fledgling United States of America.